Sweeten up your day… Straight away! Sitting all day long while working? Taste it easy and enjoy your protein dose without extra calories. It’s fitlicious! Do you know that moment when you fancy something incredibly good and you feel tempted to sink your teeth in something really rich? Well, it’s time for you to meet Prozis Protein Snack! Prozis Protein Gourmet Bar will be the high time of your day, with 20 g of fine protein, contributing to a balanced diet and a healthy lifestyle. 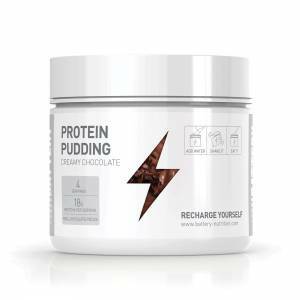 With its several layers of yummy, creamy chocolate, velvet caramel and crunchy hazelnuts, you’ll have your daily intake of protein, guilt-free! Prozis Zero Snack is the perfect choice that allows you to enjoy the authentic pleasure of a chocolate bar, but with the certainty that you are making a much healthier choice! Go sweeter with less sugars and more protein! Do you occasionally feel that urge for something sweet? And does that urge make you feel remorseful? No need for all that weight on your conscience, there’s a fit solution within reach! Prozis Protein Brownie is the perfect snack to satisfy your sweet tooth, but with the certainty that you are making a much healthier choice. Go sweeter without dumping the diet! Baked with sweet chocolate chips, these choco-peanut brownie bites are loaded with protein, which contributes to the growth and maintenance of muscle mass. With these brownies, you upgrade your protein intake while making the most of your diet! Here’s a tip: pop it in the microwave for 20 seconds for a soft and even more delicious result! Diet Bar by Prozis is packed with isomalto-oligosaccharides, or IMOs: a low calorie fibre sweetener. As a naturally sweet fibre with prebiotic properties, IMO makes you feel fuller for longer, helping you control your appetite throughout the day. So it’s easy to understand why it’s the latest favourite ingredient of dieters and healthy eaters. Truly satisfying and delicious, the Diet Bar is the snack that you should keep in your lunch box or gym bag for every occasion – it’s totally worth it and guilt-free! The Xcore Nutrition Protein Snack is the perfect protein-packed bar to include in your diet and training regimen. The bar is especially developed for athletes who demand nothing but the best, yet also suitable for anyone wanting to increase their protein intake without the excess calories.